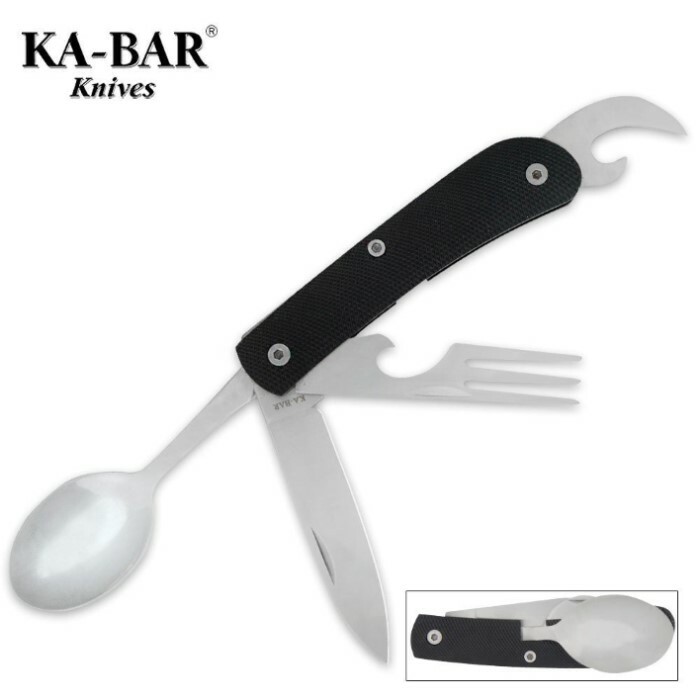 Kabar Hobo Stainless Fork/Knife/Spoon Black | BUDK.com - Knives & Swords At The Lowest Prices! This KA-BAR® Hobo is the perfect all-in-one eating utensil. It offers a can opener, fork, spoon, and razor-sharp knife, all in one compact folder. They are all stainless steel for years of good use. Don’t forget to take this along your next hunting, fishing, or camping trip! Measures 4” closed.